The following is an account of one small victory in conservation, and a demonstration of what can happen when people take the time to learn about the world around them. I would like to thank the DuPont Ft Hill Plant, and in particular, Mr. Roger Beacom, for the dedication and care that they demonstrated in restoring a critical wetland habitat. For many years, local herp enthusiasts in western Hamilton County have visited a roadside vernal pool (temporary pond) on the property of the DuPont Ft. Hill plant. This small wetland, which holds water only seasonally, has served as an excellent place to observe the migration and breeding of Jefferson Salamanders, Ambystoma jeffersonianum. Although not an endangered species, the Jefferson Salamander has a relatively small range and is rare in Hamilton County. In addition to the salamanders, this particular pond has been known to periodically support wood frogs, Rana sylvatica, and a lone Northern Leopard frog, Rana pipiens pipiens, was seen near the pond last year. Both of these species are very rare in Hamilton County. During the fall of 2005, it was discovered that 2 man-made breaks in the pond had caused the pond to drain, spelling the end to this unique habitat. After discussing the matter with other GCHS members, I decided to contact DuPont, and was put in touch with Mr. Roger Beacom, production manager. Mr. Beacom explained that DuPont, like many well-intended land owners, had drained the vernal pond due to concerns over mosquitoes. They had no idea that the pond was of any environmental significance. After a lengthy conversation and information exchange via email, Mr. Beacom made a verbal commitment to do his best get the necessary approvals to have the pond repaired. In order to address the concerns about mosquitoes, Greg Lipps of the Ohio Salamander Monitoring Program provided documentation that vernal ponds containing salamander larvae do not produce significant numbers of mosquitoes (the salamander larvae consume many of the mosquito larvae). This information was vital to the final decision. Although DuPont officials admitted that they were skeptical that the salamanders would return after 2 years, the final approval was given to repair the breaks in the pond in January of 2006. In order to give the salamanders an opportunity to return and breed in early spring of 2006, the GCHS recommended that the pond be repaired as soon as possible. In late January, DuPont made the repairs. Here is a photo of the pond after re-construction. Notice that it is completely dry. The next few weeks brought periods of optimism and of reluctance. Initially, rain water began to fill the pond, only to see the ground (which had been basically dry for the better part of 2 years), soak up the water and leave only a mud-pit. Roger and I conversed many times during the course of events, and it was decided that 1000 gallons of virgin well water would be dumped onto the road near the pond. The water would then drain into the wetland and with luck, the pond would maintain at least a few inches of this new water. Roger took the initiative to make this happen, and for a period of a few days, the pond held water. Things were looking up. Mother Nature was uncooperative during the next few weeks. Lack of rain once again resulted in nothing but a muddy pit. It was obvious that the ground needed a good saturation in order to hold water. At this point, it was early March. Other Jefferson salamanders living less than a mile away (in Shawnee Lookout Park) had bred weeks ago. Things did not look good for the 2006 breeding season in the DuPont pond. The pond filled. But it was now mid-March. Was it too late? Would we be left with a vernal pond with insects but no salamanders? Several trips to the pond after the heavy rains revealed no salamanders or eggs. Although it was not discussed, we all later admitted to lingering doubts about our chances of success. On March 18, it finally happened. Although no one actually saw the Jefferson Salamanders move in, scores of eggs masses and hundreds of eggs were now in the pond! The pond full of Jefferson Salamander egg masses! GCHS members and DuPont personnel were very excited about the sudden swing in events, which were very amazing for several reasons. Jefferson salamanders are known to be very loyal to their breeding ponds. Typically, the adults return to breed in the exact pond where they themselves hatched (often traveling some distance to do so). If their pond disappears, the end result is usually the demise of the population. Not only did the salamanders return to this pond, they managed to ?hold off? from their normal breeding pattern to do so. Under normal circumstances, they would have likely bred a few weeks prior. Perhaps driven by deep seeded survival instincts, the salamanders returned to the pond to breed only when it was suitable for supporting their eggs! The course of events was truly awe-inspiring. In addition to hundreds of salamander eggs, the drama of this entire scenario accomplished something else. It created a human connection to native wildlife. Employees from all areas of the plant were interested in seeing the eggs and hearing about their progress. GCHS members and DuPont personnel found themselves hoping for rain and storms so that the eggs and their larval inhabitants would survive. A few scary moments followed the egg deposition. Several nights of shallow water and nighttime lows in the teens created a bit of anxiety. One frigid morning at 7AM, I found myself breaking up the ice across the very shallow pond in knee-high waders to prevent the pond from freezing solid. Some of the eggs did perish from freeze-damage. Most of them, however, did not. In a few short weeks, the pond was alive with hundreds of ravenous little larval Jefferson Salamanders. Again, spirits were elevated. Employees from DuPont visited the pond to see the new inhabitants. Jefferson Salamander eggs ready to hatch! 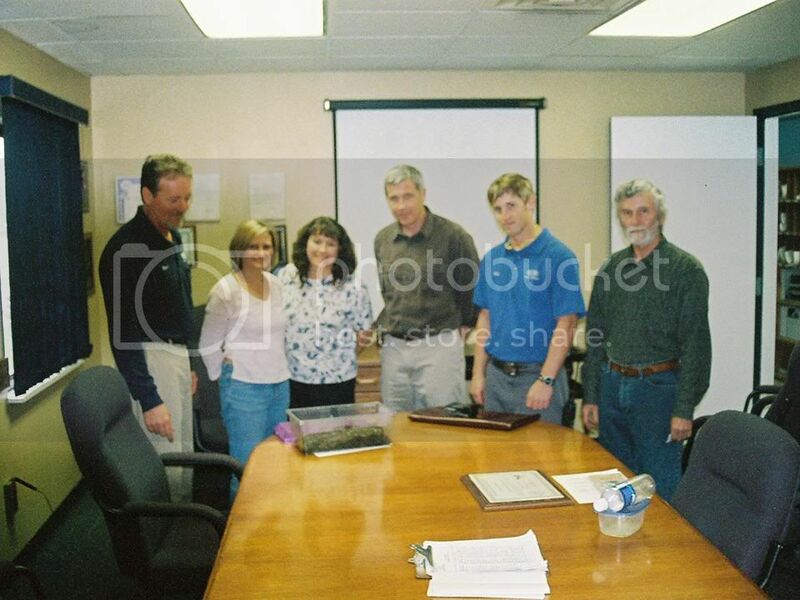 On April 17, 2006 The Greater Cincinnati Herpetological Society presented the DuPont Ft. Hill Plant with their 2006 ?Community Conservation Award?. Du Pont has made the commitment to keep this important wetland region intact, and the entire experience has sparked interest among employees in habitat and wetland species in general. We were asked about the other species that may inhabit and breed in the pond, and will be providing copies of the Ohio frog and toad call CD, so that employees can listen for and identify calling frogs and toads. As of April 20, 2006 the Jefferson Salamander larvae were doing very well and growing fast. Occasional rains have maintained a livable water level for both the salamander larvae, and for fairy shrimp, which also occupy the pond once again. 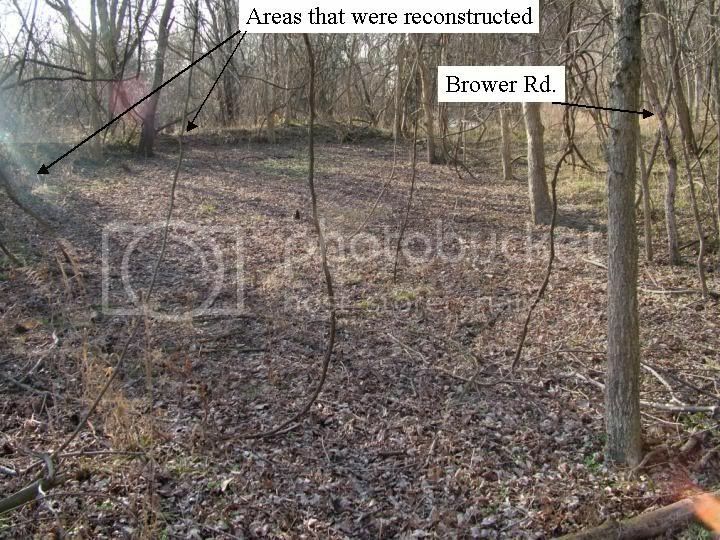 The GCHS contacted The Western Wildlife Corridor ,an organization that protects habitats in western Hamilton County, and made them aware of this project. The WWC, lead by president Tim Sisson, is now working with DuPont, explaining various methods to permanently protect the habitat. The GCHS conservation committee is hopeful that we will be able to use this experience to build on. 95% of Ohio?s wetlands are gone. This experience has given us a glimmer of hope. Our plan is to use this event as a model for future conservation efforts. For now, the baby Jeffs are feeding, the toads and frogs are calling, and all?s well in one tiny little section of one county in Ohio. "I sure hope it rains!" Updates to this story will be posted as they are available. On Memorial Day weekend, the pond level was 3-4" and the Jeff larvae were LARGE (2-1/2 to 2 3/4"). Appear ready to morph out soon. The water remained 2-3", nd NO LARVAE can be found in the pond. Looks like a new crop of young Jeffs are in the forest.